YUSUFALI: (Then) shall each soul know what it has put forward. PICKTHAL: (Then) every soul will know what it hath made ready. SHAKIR: Every soul shall (then) know what it has prepared. YUSUFALI: With authority there, (and) faithful to his trust. SHAKIR: One (to be) obeyed, and faithful in trust. PICKTHAL: And your comrade is not mad. SHAKIR: And your companion is not gone mad. YUSUFALI: And without doubt he saw him in the clear horizon. PICKTHAL: Surely he beheld Him on the clear horizon. SHAKIR: And of a truth he saw himself on the clear horizon. YUSUFALI: Neither doth he withhold grudgingly a knowledge of the Unseen. PICKTHAL: And he is not avid of the Unseen. SHAKIR: Nor of the unseen is he a tenacious concealer. YUSUFALI: Nor is it the word of an evil spirit accursed. PICKTHAL: Nor is this the utterance of a devil worthy to be stoned. YUSUFALI: When whither go ye? PICKTHAL: Whither then go ye? SHAKIR: Whither then will you go? PICKTHAL: Unto whomsoever of you willeth to walk straight. SHAKIR: For him among you who pleases to go straight. 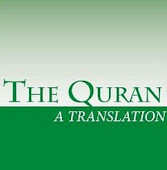 YUSUFALI: But ye shall not will except as Allah wills,- the Cherisher of the Worlds. PICKTHAL: And ye will not, unless (it be) that Allah willeth, the Lord of Creation. SHAKIR: And you do not please except that Allah please, the Lord of the worlds.